Eager for quick cash, state and local governments across America are handing over control of critical public services and assets to corporations that promise to handle them better, faster and cheaper. Unfortunately for taxpayers, not only has outsourcing these services failed to keep this promise, but too often it undermines transparency, accountability, shared prosperity and competition – the underpinnings of democracy itself. Outsourcing means taxpayers have very little say over how tax dollars are spent and no say on actions taken by private companies that control our public services. Outsourcing means taxpayers cannot vote out executives who make decisions that hurt public health and safety. Outsourcing means taxpayers are contractually stuck with a monopoly run by a single corporation – and those contracts often last decades. And outsourcing too often means a race to the bottom for the local economy, as wages and benefits fall while corporate profits rise. 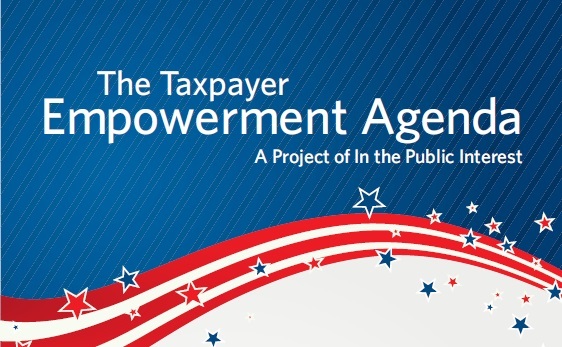 • Regularly post online how much taxpayers are spending on private contracts and how many workers are employed by those contracts – the same way government must report these things for public work. meetings to the public, just as government does. • Ensure that every contract allows for regular audit and oversight, and agencies have sufficient staffing levels to adequately oversee contracts to make sure taxpayers are getting what they pay for. • Ensure that every contract includes language that allows government to cancel the contract if the company doesn’t live up to its promises of quality and cost savings. • Prohibit any company that has evaded taxes or broken the law from taking over public services. • Require a thorough cost analysis of all bids and guarantee taxpayers a minimum 10 percent savings before any service is privatized. • Require companies that privatize public services to pay their employees a living wage and provide reasonable benefits. • Require a study to determine how privatization would affect the larger community and post the results online before any contract is signed. • Require competitive bidding when a contract is up, rather than automatically renewing it. • Ban contract language that guarantees company profits. • Ensure that public service workers have the opportunity to submit their own plan to save money and provide quality services.